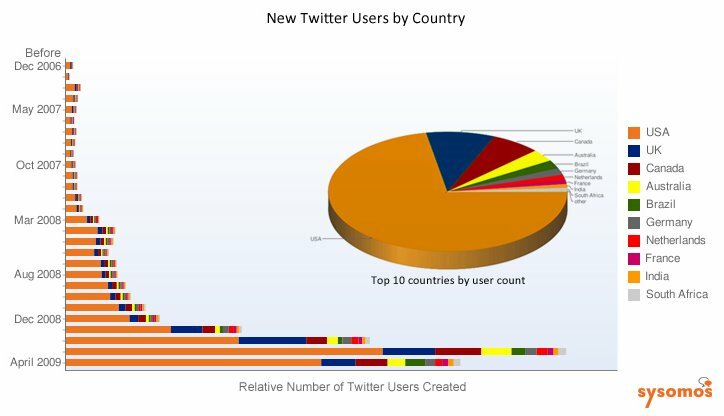 21% (One Fifth) of Twitter accounts are empty placeholders. Nearly 94% of all Twitter accounts have less than 100 followers. March and April of 2009 were the tipping point for Twitter. 150 followers is the magic number. Tuesday is the most active Twitter day. APIs have been the key to Twitter’s growth & utility. Twitter is being led by the social media geeks. Twitter is also important for news junkies who live in small towns and rural areas.